William Crawley debates what the election of Pope Francis will mean for the Catholic Church? When he was handed the Papacy Cardinal Jorge Mario Bergoglio said that his fellow Cardinals had chosen a man from the end of the World, in terms of selecting a Pope they had done. 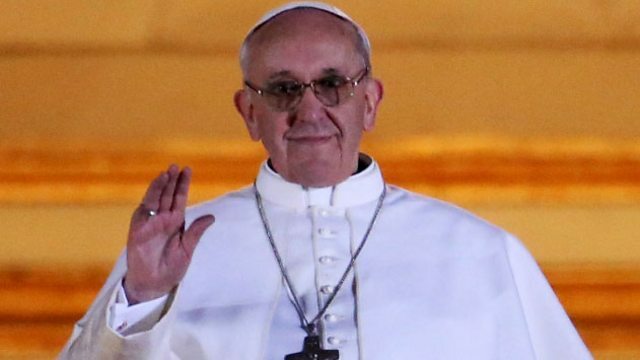 The 76 year old Jesuit is the first non-European to take office for a thousand years, raised in poverty known for his simplicity and humility and now the man who leads Catholics across the world. To expect radical reform of the conservative Catholic Church is maybe expecting too much, but there is a feeling that Pope Francis could bring a different tone and style to a church which has long been criticised for being out of touch with the rest of the world. In a special Heart and Soul, William Crawley is joined by a panel to discuss what we know about the former Cardinal Mario Bergoglio, what we should expect from Pope Francis and whether the vibrant Latin American way of worship can revive a tired European based church.Michael Walsh an expert in the Jesuit, Reverend Augusto Zampini an Argentinian Priest now working in the UK. Francis Pimentel-Pinto a Brazilian expert on the Church in Latin America and from Buenos Aries Ines San Martin, Margaret Hebblethwaite Catholic missionary and teacher in Paraguay, and the BBC’s correspondent in Argentina Vladimir Hernandez who has watched the former Cardinal Bergoglio closely over the past few years.